Poetry by Gilbert Koh. Details here. All rights reserved. 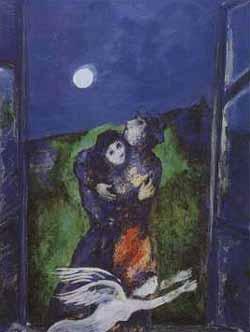 Chagall, Lovers in the Moonlight. bend it gently to the light. it’s over money. Usually he’s drunk. He always wins. Hits her with something heavy - I can’t tell what. 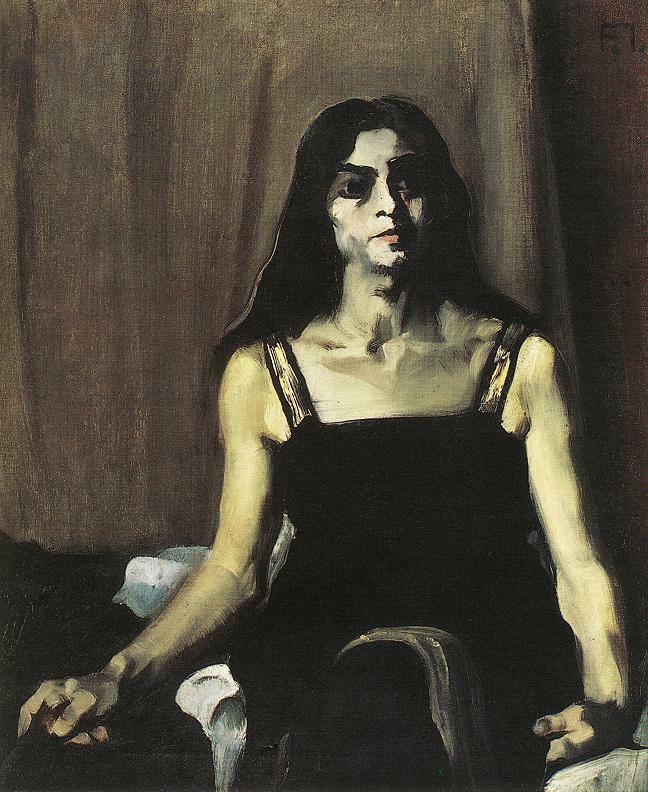 She cries awhile, then falls silent. A door slams. This happens about once or twice a week. I listen intently to all their fights. I blast my radio. He will hear me. And know that I can hear him too. My small intrusions. My vague useless gestures. battering doors at midnight demanding entry. What does she do, after he falls asleep? not to leave. This time not so bad, no need to see doctor. Maybe, I cannot go, we are already married. Or worse – He won’t do it again. I know he won’t do it again. in the common corridor. She must know that I know. Her eyes avoid mine. I let the walls stand. I am the stranger who sees and hears nothing. I think we may both prefer it that way. STAGES is proud to have been invited to present a performance of dramatized poetry entitled "Poetic Licence" for the SHINE Youth Festival organised by the Ministry of Community Development, Youth and Sports. The festival is supported by the National Youth Council. The performance is aimed at introducing young audiences to the richness of poetry and its power as a mode of expression - through the use of drama. For your information, the production is directed by Jonathan Lim and the cast are Alex Ng, Audrey Luo, Candice De Rozario, Pierre Goh, Terence Tan, Tan Shou Chen, Judy Ngo and Melissa Lee. Poetic Licence runs from 29th June 2005 till 6th July 2005 in the Hall at the Singapore Arts Museum. We hope you will agree to let us perform your poems and share them with our audience. You will of course be credited in the programme materials, and the poem titles will also be reflected therein. In gratitude, we would like to present you with 2 pairs of complimentary tickets for the event (date of your choice, excepting 2nd July 2005). This is actually the second time these two poems are going to be used in a drama performance. The first time was during the National Arts Festival, a few years ago. Back then, I gave permission for the poems to be used but I didn't attend the performance. This time I wanna go! National Day Parade is a mildly subversive poem which I will probably post on the Reader's Eye sometime closer to National Day (9th August). Chiang's Heatstroke is an army poem set in the context of a training exercise on Pulau Tekong. I'll probably post Chiang's Heatstroke next week. Both poems were previously published in a literary anthology entitled From Boys to Men - A Literary Anthology of National Service in Singapore, which is probably where STAGES came across them. Click here for an old review of From Boys to Men. The reviewer also had a couple of nice things to say about Chiang's Heatstroke. Born in 1973, Gilbert Koh is a lawyer working in Singapore. His poems have been published in many literary anthologies and journals in different countries. Gilbert was also the winner of the 2005 NAC-SPH Golden Point Award for Poetry. Email Gilbert here: kohgilbert@gmail.com. A list of his previously published poems can be found here.